The #Guelph H2O GO Festival This Weekend!! 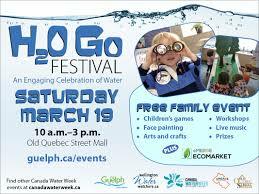 H2O Go Festival & eMERGE Ecomarket, Old Quebec Street Mall, March 19, 10 a.m.–3p.m. Fun for all ages with games, workshops, face-painting, crafts, our local craft brewers, music and the eMERGE Ecomarket—showcasing green ideas, products, programs and technologies. 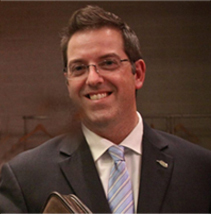 For more information about these events, visit guelph.ca/events. Guelph’s current average day water use of 167 litres per person is much lower than 2011 provincial and national averages of 207 litres and 251 litres, respectively. Guelph’s 2011 average day water use was 177 litres per person. In 2015, the City pumped enough water to fill almost 6,900 Olympic-sized swimming pools. Guelph’s average daily water use in 2015 was equal to almost 19 full Olympic-sized swimming pools.